Big insurance rises for speeders | What Car? 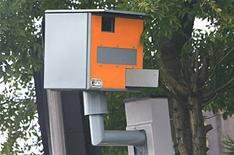 A speeding ticket could add at least 20% to your insurance bills, says comparison website Moneysupermarket.com. It found that drivers with a speeding conviction and six points on their licence could pay 19% more on average than a driver with a clean licence while those with multiple convictions could pay a massive 54% penalty. Moneysupermarket.com's Peter Harrison said: 'Our research found insurance premiums rose on average by 44p a day in 2010 and this trend is set to continue. Moneysupermarket.com's top five quotes for a 30-year-old male teacher in Manchester, with five years no claims discount, driving a 2006 Ford Focus 10,000 miles a year. Car is parked on the driveway. Here are the quotes and how they change as the number of speeding-related points increase. Women's insurance costs are likely to continue increasing faster following a ruling by the European Court of Justice preventing insurers from establishing risk based on gender. Follow our guide to how you can take control of your insurance premiums.